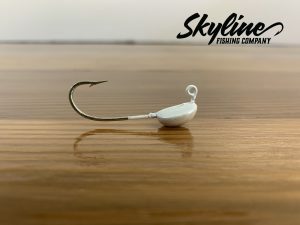 Each cobia jig below utilizes a 9/0 or 10/0 2X strong forged hook. 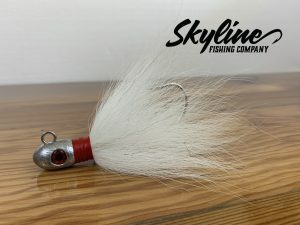 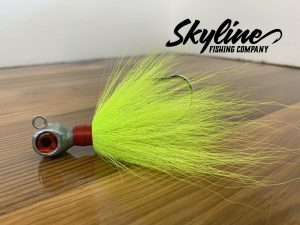 Made with all natural, premium bucktail. 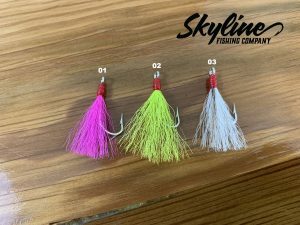 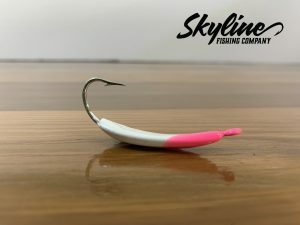 These jigs are not limited to cobia fisherman. 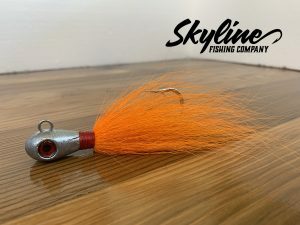 And can be used for pelagic species. 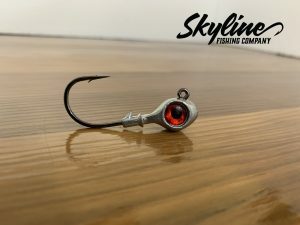 They are made for fisherman who use high drag settings inshore and offshore and want that extra insurance in a hook.